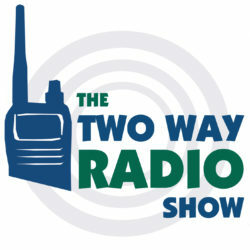 We talk about some new two way radios from Cobra for 2013. We also review the Cobra microTALK CXT345 Two Way Radio. We look at the new lineup of Cobra consumer FRS/GMRS radios, tell you which older models will be phased out, and which ones will remain available. Radios discussed include the Cobra CX112, CXT145, CX312, CXT345, CXT390 and CXT545. Today we review the Cobra microTALK CXT345 Two Way Radio. This entry was posted in Two Way Radio Show Podcast, Cobra and tagged two-way, radios, FRS, GMRS, handheld, portable, Cobra, reviews, walkie-talkies, CXT345 on June 10, 2013 by Rick. We talk about the current status of the proposed changes to the GMRS announced by the FCC in 2010. We also review the XLT TM-200 Adjustable Throat Mic. We give you an update on the FCC's proposed changes to the GMRS. We'll talk about the current license requirements, some of the proposed changes to those requirements, and the current status of the proposed changes. For more information on the proposed changes to the GMRS, read A Summary of the FCC's Proposed Changes to GMRS and Other Services and My Thoughts On The FCC's Proposed GMRS Changes. For tips on using your two way radios, watch our Radio 101 video series hosted by Anthony. Today we review the XLT TM-200 Adjustable Throat Mic. For instructions on how to properly wear a throat mic, watch Radio 101 - How to use a throat mic. This entry was posted in Two Way Radio Show Podcast, Consumer Radios and tagged twoway, radio, UHF, VHF, 2way, GMRS, handheld, portable, mobile, channels, FCC, video, license, reviews, XLT, Federal Communications Commission, General Mobile Radio Service, part 95, rule changes, status, throat mic, TM-200 on April 19, 2013 by Rick. The Midland GXT5000 has been officially discontinued. This model was first available in April of 2011 and was the only "business quality" GMRS radio available by a major manufacturer. They sold rather well at first, but after just a few months of availability the factory (in Thailand) where they are manufactured was damaged by flooding and we were told to expect a considerable delay before more product would ship. Last year we were told that things were looking up and that we could expect the GXT5000 to return "within a month or two". Two months quickly became three, four and five, and today we learned that Midland is dropping this product from their catalog entirely. If we see another business grade GMRS radio from them it will have a different model number and likely differ from the GXT5000. Anyone that had a backorder with us for a GXT5000 will receive an email or a phone call soon asking if you would prefer we cancel the order or ship a different product. This is unfortunate news, but we do thank everyone for their patience and understanding. This entry was posted in Midland and tagged GMRS, Midland, GXT5000, Discontinued on March 18, 2013 by danny. An Interview with Andy Hawkins, President of the Mecklenburg Amateur Radio Society, on location at the 2013 Charlotte Hamfest in Concord, NC. We come to you almost live from the floor of The 2013 Charlotte Hamfest, sponsored by The Mecklenburg Amateur Radio Society. We talk with Andy Hakwins, President and one of the organizers of the event who explains what the hamfest is all about. We review some of the activities planned for The 2013 Charlotte Hamfest and give you an overview of what actually goes on at one of these events. This entry was posted in Two Way Radio Show Podcast and tagged twoway, two, way, radio, radios, 2way, communications, FRS, GMRS, handheld, portable, mobile, walkie, talkies, talkie, channels, 2013, consumer, two way radios, reviews, accessory, accessories, amateur, ham, Mecklenburg, Society, Charlotte, Hamfest on March 9, 2013 by Rick. We are often asked if the headsets manufactured for one brand of consumer walkie talkie or business two way radio are compatible with other brands. Are the audio connectors for these two way radio accessories universally compatible? In this episode of Radio 101, Anthony from Buy Two Way Radios gives you the simple, honest answer. This entry was posted in Radio 101 and tagged two-way, radios, 2way, FRS, GMRS, Midland, Kenwood, Motorola, Cobra, Vertex, headset, accessory, compatible, audio, connector, 2.5mm, 3.5mm, two prong, three prong on March 4, 2013 by Rick. Charging a consumer walkie talkie used to be limited to just a couple of options. Today there are many different options available for charging Cobra, Midland, Motorola, Uniden and other brands of FRS/GMRS two way radios. In this episode of Radio 101, Anthony from Buy Two Way Radios will tell you what your options are. This entry was posted in Radio 101 and tagged radio, two-way, radios, Business, UHF, VHF, 2way, FRS, GMRS, consumer, charging, walkie-talkies, options, drop-in, plug-in, rechargable on February 25, 2013 by Rick. We compare the new Midland GXT2000 FRS/GMRS two way radio with the GXT1000. We also review the new Midland GXT2050VP4 two way radio. We perform a detailed comparison between the Midland GXT1000VP4 and the new GXT2000VP4 walkie talkies. We'll compare the power, features and range of these radios and tell you which model we think comes out on top. For a complete out-of-the-box experience, watch our new video Midland GXT2000VP4 two way radio unboxing and first look. For a complete review of the GXT2000, read our blog post Midland GXT2000VP4 Two Way Radio Review. For tips on using your two way radios, watch our new Radio 101 video series hosted by Anthony. Today we review the new Midland GXT2050VP4 Two-way Radio. This entry was posted in Two Way Radio Show Podcast, Midland and tagged UHF, FRS, GMRS, Midland, GXT1050VP4, two way radios, GXT1000VP4, video, GXT1000, GXT1050, GXT2000VP4, GXT2050VP4, GXT2000, GXT2050, accessory, accessories, Radio 101, unboxing on February 22, 2013 by Rick.